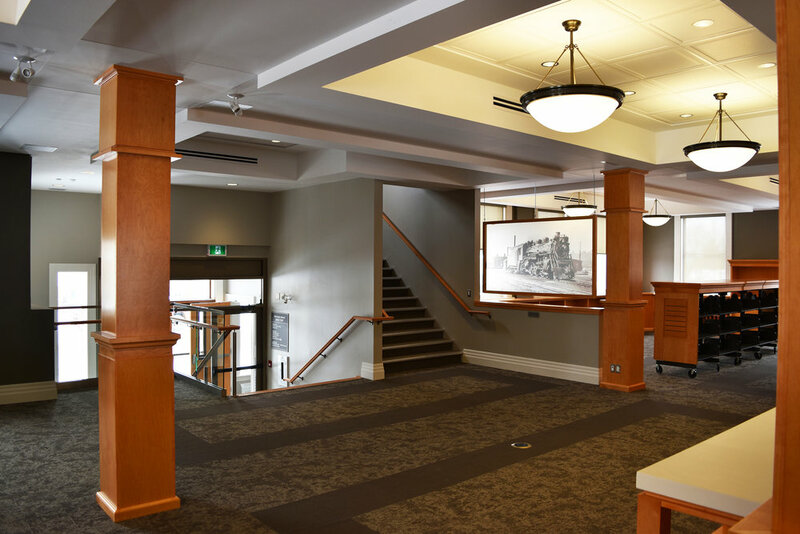 In the Spring of 2014 our firm was engaged by the County of Wellington to provide Architectural and Prime Consulting Services for a planned renovation of their Palmerston Branch building which is one of 111 libraries constructed in Ontario during the early part of the 20th Century with philanthropic funding from industrialist Andrew Carnegie. As a precursor to the commencement of designs for the renovations our firm was tasked with assisting this repeat Client in the facilitation of a Community Engagement process, to assess the public’s wants and needs related to the project. Planned alterations include restoration of the building envelope, considerable reorganization of interior spaces (including the adaptive reuse of an abandoned theatre space for library functions) and general enhancement of heritage features as well as improvements to provide for increased accessibility and modernization of equipment and fixtures. Our objective for the project is to simultaneously secure the historical value of the structure while accommodating expanded amenities for the continuing evolution of the Wellington County Library in Palmerston.